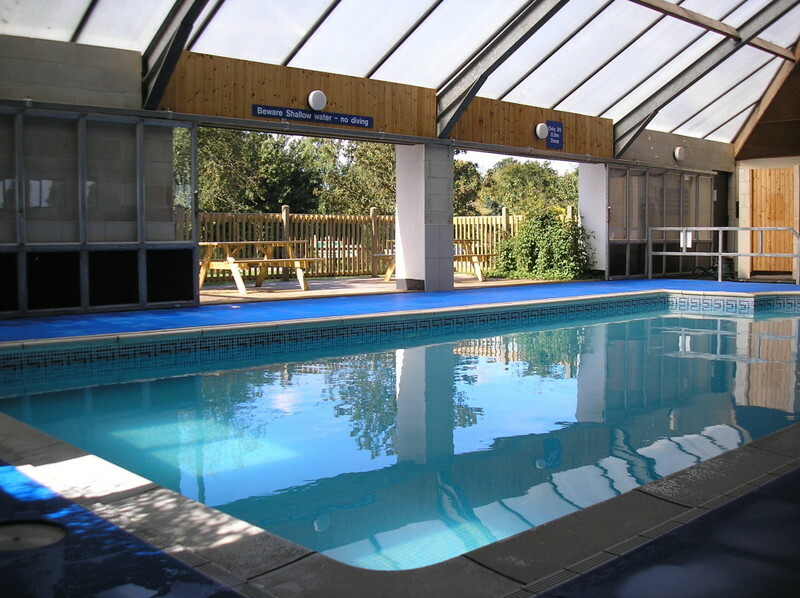 Our heated indoor Swimming Pool is open from 9.30 - 4.30 pm each day from the beginning of April to the end of October. There are four swimming session per day, each lasting for 1 1/4 hours. So every one can enjoy their swim the number of people in the pool is limited to 16 per session. On warm days the pool can be popular, so tickets can be bought up to 24 hours in advance from the shop. 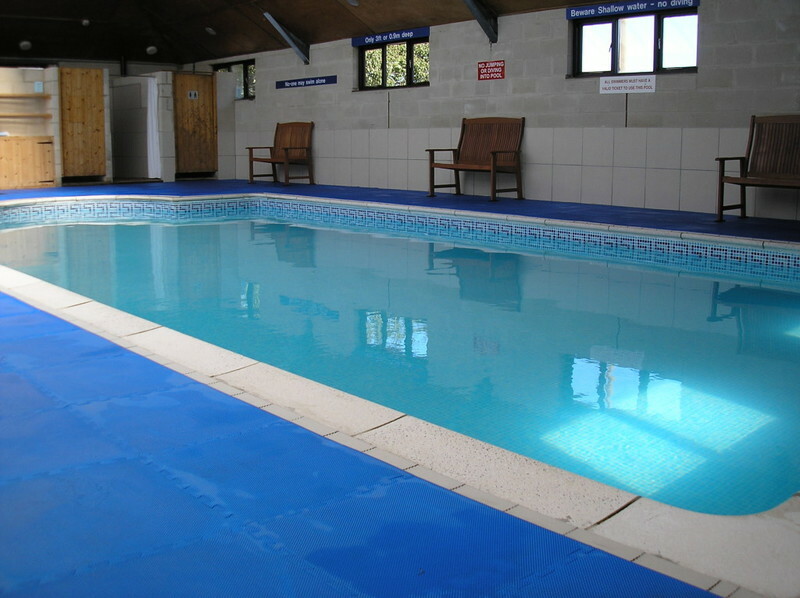 Swimming pool tickets costs £2.50 per person, children under 3 are free. 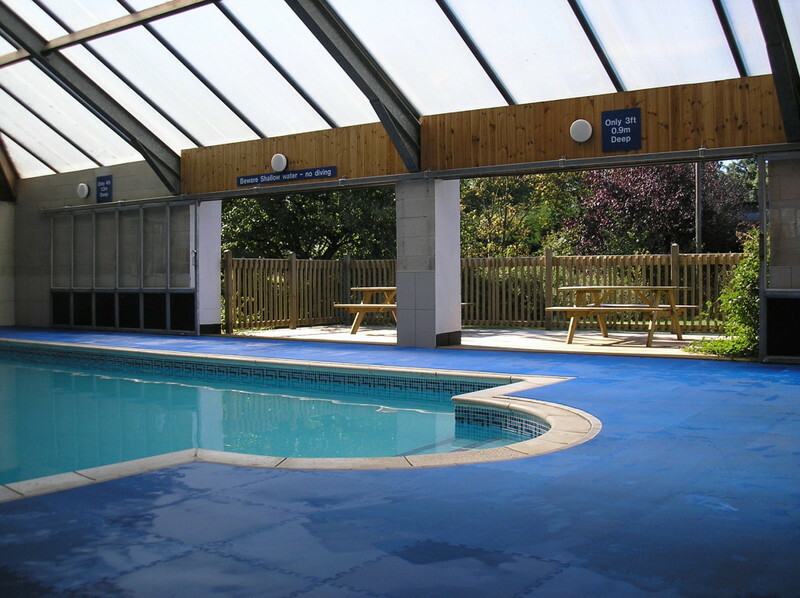 The pool is available for private bookings between 5pm and 6pm at a cost of £45. You can book this in advance when you book your pitch. Our swimming pool is NOT LIFEGARDED. During private hire sessions the hirer must abide by our supervision requirements and our Health and Safety Policy Notice.